Fasting Can End Caffeine Addiction. It is a difficult habit to break as it is part of our society. Coffee shops without coffee ….. it will never happen as people, including myself, love that coffee flavor and aroma of freshly brewed coffee. But what happens when the damage of the caffeine starts to be too high a price. Stomach problems and nervous conditions can be greatly aggravated by coffee. One cup has a stimulating effect but for many, the jumbo coffee is needed to maintain a high does for their caffeine addiction. At the addiction level of 3 jumbo coffees per day, when you quit, the result is headaches, tiredness, lack of energy and enthusiasm, and a craving for caffeine. To break the caffeine habit, you need some motivation. 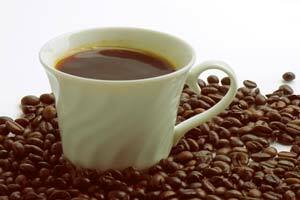 Caffeine can be found in cold remedies, diet pills, wake-up pills, chocolate and painkillers. Over the counter and prescription pain killers will add to your caffeine quota. Instead of healing the cold, caffeine slows down the elimination of mucus and destroys vitamin C. You are getting more caffeine than you think. The damage of caffeine is over years of high dose caffeine intake, and when the time comes when you are forced to quit, it is very difficult as the habit is ingrained in the system. Fasting resets the metabolism and gets you to a balanced state quickly and with the right substitutes and discipline you can enjoy the health of a caffeine free life. Read how Kim Lee lost 21lbs., ended his caffeine addiction, healed high blood pressure and had more energy. Please post your battles, successes and failures with caffeine addiction. I am currently doing a 30 water fast to break caffeine and nicotine addiction, heal some aches in my body and to loose weight. I was wondering how long it will take to break the caffeine addiction and how I should go about it. Should I just stop drinking the coffee completely, or will the desire subside as I get further into the fast? Similarly, what should my approach be with smoking? Does the desire for cigarettes subside after around day 20? Thanks. Cold turkey is rough. For a heavy coffee drinker I recommend drinking 2 cups on the first day and 1 cup for the next two days before quitting. The headaches can be very intense. The same for cigarettes. I recommend the patch rather than smoking and cutting down the dose over 2 weeks. Make sure it is a juice fast. Water fasting will be hell. I’d concentrate on the cigarettes before the coffee…. DON’T TRY TO QUIT BOTH AT THE SAME TIME! As a matter of fact, forget about the coffee for now and just quit smoking. The only way to quit is cold turkey. Seriously. After smoking for 15 years, I tried the “weaning-off” approach, and it never worked. Stop smoking, altogether ASAP, and you need to find new smokeless places to hang out that you didn’t go before. Get yourself a box of nicotine gum and chew. Everyone’s different, but after about a month…only a single month, you begin to lose the urges, somewhat, and you fill that time with other more useful activities. You’ll wonder how you ever found time for puffing in the first place. Thanks Joe for post on quitting cigarettes, I appreciate any support that we can give as a group. The physical urge will decrease over weeks of fasting and around 21 days the body will without physical addiction. During this time the urge to smoke will increase and decrease. The psychological urges will remain for years and you will need to follow Joe’s advice to make it. I recommend one cup of coffee for day one and two then quit. It stops the headaches that can last for 3 days. Quitting from one cup of coffee will not cause headaches.